Meet the Pharmacists of Surlang Medicine Centre Pharmacy in Surrey BC. Bob is a full pharmacist in that he is a Licensed Injection Certified Renal Medication specialist. He presents education evening seminars to both customers and Health Professionals. Seminars cover a wide range of topics including pharmacy compounding, nutrition, lifestyle, anti-aging, and more. Bob Sangha graduated from UBC in 1984 with a BSc (Biochemistry) and BSc (Pharmacy). After working 9 years in chain store pharmacy management and an additional 13 years as a successful independent pharmacy owner, he has recognized a growing need for individualized health management. This encompasses the need for specialized compounding with a focus on bioidentical hormones for women and men, as well as specific adult, pediatric and veterinary compounds. 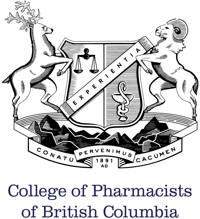 Christie He completed her pharmacy degree in China in 2000 and Canadian Pharmacy Practice Program at the University of British Columbia in 2009. She officially joined the Surlang team as a pharmacist in October 2015. She is a fully licensed Injection Pharmacist, and is quite comfortable in counselling clients on speciality compounded medications. With years of experience working in many different areas of pharmacy, Christie brings with her extensive knowledge base, and a keen desire to serve the public in meeting their healthcare needs.